Get the latest on us. 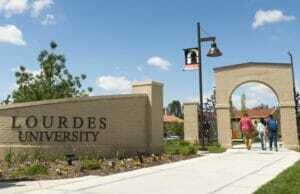 Dynamic Campus, a leading provider of IT outsourcing and IT managed services for two- and four-year higher education institutions since 2002, announced that it has been selected by Lourdes University, a private faith-based higher education institution of 1,448 students in Sylvania, Ohio, to serve as the institution’s IT support and strategy partner. Under the terms of the partnership, Dynamic Campus will provide Lourdes with a combination of on-campus and remote IT leadership and tactical expertise, drawing from Dynamic Campus’s deep, nationwide bench of higher education IT experts. The partnership with Dynamic Campus will ensure students, faculty and staff receive the IT support and strategic alignment they need to maximize student outcomes, provide a superior campus experience for all stakeholders, and meet the needs of the institution and its leadership team, both short-term and long-term. Lourdes University is a Catholic and Franciscan institution established in 1958 by the Sisters of St. Francis. Offering undergraduate and graduate degrees, Lourdes is known for its quality academic programs and personalized attention afforded to students. A beautiful and safe campus, Lourdes students appreciate the exceptional educational experience provided including apartment-style housing, NAIA athletics and robust student life programming. Ranked a “Best in the Midwest” University by Princeton Review, the University is accredited by nine national and regional academic organizations. Dynamic Campus, a leading provider of IT outsourcing and IT managed services for two- and four-year higher education institutions since 2002, announced that it has been selected by Texas Wesleyan University, an intentionally small, private higher education institution of 2,600 students in Fort Worth, Tex., to deliver comprehensive IT and strategic technology support to the university. As part of the arrangement, Dynamic Campus has deployed both on-campus and remote IT leadership and tactical expertise to deliver the highest-quality IT support possible to Texas Wesleyan’s students, faculty, staff and leadership, ensuring that technology is applied in the service of academic quality and integrity, always putting the student first. 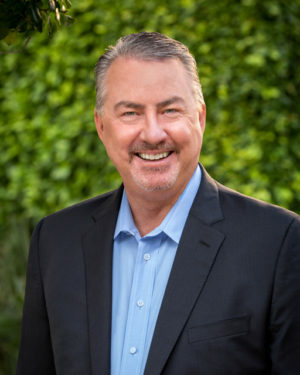 “Texas Wesleyan cultivates an environment where students receive the personal attention they deserve,” said Frederick G. Slabach, Texas Wesleyan’s President since 2011. “Our partnership with Dynamic Campus gives us the best of both worlds in many respects: the intimacy of a small campus experience with high-quality, dedicated faculty, combined with the technology capabilities, experience and expertise of an institution many times larger. Today’s colleges and universities are increasingly reliant on technology to attract students, maximize their opportunities for success, deliver greater value and a richer experience, achieve the institution’s short- and long-term goals and much more. Managed IT services providers like Dynamic Campus allow institutions to tap into a deep bench of nationwide IT talent with higher education experience, delivering the technology skill, scale and strategic capabilities many institutions simply can’t achieve on their own. 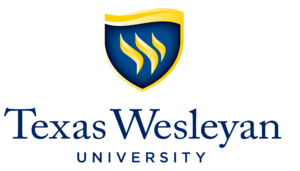 Founded in 1890 in Fort Worth, Tex., Texas Wesleyan University is a United Methodist institution with a tradition in the liberal arts and sciences and a focus on professional and career preparation. Undergraduate and graduate programs are offered on campus and through distance education. 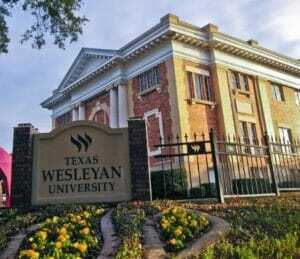 Since the launch of its 2020 Vision strategic plan in 2011, Texas Wesleyan has made more than $50 million in capital improvements to the campus and its historical surrounding neighborhood, and the university endowment has doubled. Freshman applications have increased 400 percent, and overall enrollment has increased more than 15 percent. The award-winning “Smaller. Smarter.” marketing and branding campaign has raised the awareness and perception of Texas Wesleyan more than any other university in North Texas. 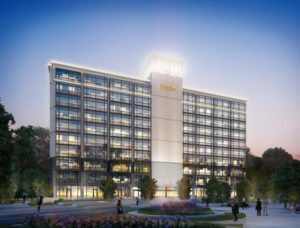 Recent initiatives include the launch of a 100 percent online MBA, the return of football after a 75-year hiatus and a new 44,000-square-foot student center, the Nick & Lou Martin Student Center, which will open in the fall of 2019. Imagine your campus has just experienced a massive disaster. You have no power, no water, no cellular service, no fuel for your data center generator, and the roads around your campus are heavily damaged. What would you do? This worst-case scenario is exactly what Gilberto Marxuach Torrós, the President of Universidad del Sagrado Corazón, was faced with when Hurricane Maria struck the island of Puerto Rico in October 2017, destroying most of the island’s infrastructure in the process. With the help of technology partner Dynamic Campus, Sagrado was able to migrate four core IT systems out of its data center — run entirely on a balky gas generator — and onto an Amazon Web Services server on the mainland in a matter of days. This quick action on the part of Maxuach’s team and Dynamic Campus allowed Sagrado to register students, issue financial aid and deliver courses on campus and online in less than three weeks. It also allowed the institution to become the focal point of a comprehensive humanitarian relief effort known as Sagrado Contigo – Sagrado With You – that delivered critical aid and hope to more than 43,000 people, including students, faculty, staff and the surrounding communities in the months that followed Maria. For these efforts, Sagrado and Dynamic Campus were recognized by Campus Technology, the complete resource for academic and administrative IT leaders in higher education, with an Impact Award for 2018 in the “IT Infrastructure & Systems” category. To find out more about the 2018 Campus Technology Impact Awards and see the full list of winners, click here. Dynamic Campus a 16-year-old higher education managed services partner dedicated to increasing the performance and effectiveness of colleges and universities through the strategic application of technology, announced the successful acquisition of EduServe, a New Lenox, Ill.-based higher education services provider with more than 20 years of experience helping colleges and universities gain strategic value from information technology. The acquisition will integrate EduServe’s Board of Directors and team of strategists and technologists into the Dynamic Campus organization, delivering additional industry-specific value, capacity and experience to Dynamic Campus’s already deep and diverse team of experts. Current EduServe institutions will be seamlessly transitioned to Dynamic Campus as part of the integration, allowing them to tap into Dynamic Campus’s larger, deeper pool of resources. As higher education faces heavy scrutiny, a growing number of institutions across the country are actively looking for new ways to increase enrollment and retention, improve institutional efficiency, and meet the growing and changing needs of students now and in the future. “Colleges and university leaders are under pressure like never before, and they are seeking experts who understand the business of higher education to help them solve their most pressing issues and provide the resources needed to execute accordingly,” said Dynamic Campus president Mike Glubke. EduServe has over 20 years of experience helping colleges and universities gain strategic value from information technology. Our commitment to student success, combined with our deep knowledge of technology, gives us a unique perspective on the role technology plays in higher education. Our mission is to work with colleges and universities to strengthen teaching and learning while improving operations with the application of best practices and technology. Assumption College, a private Catholic liberal arts institution of higher education with campuses in central Massachusetts and Rome, Italy, announces a five-year partnership with Austin, Texas-based Dynamic Campus to provide comprehensive IT support for all of Assumption’s current and future needs. Under the terms of the engagement, Dynamic Campus has assumed all IT support functions for Assumption’s students, faculty and staff, allowing the institution to tap into Dynamic Campus’s deep bench of higher education-specific IT experts to support Assumption’s changing technology needs, both remotely and on campus. Founded in 1904 by the Augustinians of the Assumption in Worcester, Mass., Assumption College is a Catholic liberal arts institution that offers undergraduate students 41 majors and 48 minors in the liberal arts, sciences, business, and professional studies; as well as master’s and continuing education degrees and professional certificate programs—each through an educational experience that is grounded in the rich Catholic intellectual tradition. The curriculum enables students to gain a depth and breadth of knowledge that leads to professional success and personal fulfillment. Students—whether on the Worcester campus or at the College’s Rome, Italy, campus—become engaged participants in Assumption’s classic liberal arts education, exploring new ideas and making connections across disciplines. To prepare for the workforce, students learn cutting-edge theory and best practices, conduct innovative research, and develop excellent communication and critical-analysis skills. The community also knows Assumption graduates for their thoughtful citizenship and compassionate service. Social media is everywhere on college campuses, but few users understand how easily those platforms and content can put themselves and your institution at risk of identity theft and more. Feel free to distribute the infographic below you see fit with our permission—we just ask that you keep the header and footer intact and attribute dynamiccampus.com as the source. Santurce, Puerto Rico-based Sagrado Corazón University and higher education IT services and support provider Dynamic Campus announced a new managed IT services partnership intended to build on the positive momentum the institution has experienced since Hurricane Maria hit the island on Sept. 20, 2017. “When President Marxuach reached out to us for help on September 29, he and his team were in the midst of a worst-case situation for any institutional leader,” said Dynamic Campus President Mike Glubke. “In the wake of Maria, the island had no potable water, no fuel, no electricity, and sparse cellular connectivity, and the data center was running on a balky diesel generator that needed to be shut down every other day for hours of maintenance—when it had fuel to begin with,” Glubke said. Dynamic Campus IT experts on the mainland and on campus worked in conjunction with Sagrado IT personnel to create a high-bandwidth virtual private network that could securely migrate more than eight terabytes of data from Sagrado’s intermittently-running data center to a new Amazon Web Services instance on the mainland established by Dynamic Campus. In just a few days, Dynamic Campus and Sagrado were able to go live in the cloud with three key systems needed to open the university’s doors: Sagrado’s academic enterprise resource planning system, learning management system and financial aid management system. Dynamic Campus took the opportunity to upgrade all three platforms to the latest build, along with the institution’s active directory and critical desktop and laptop PCs to ensure all were fully integrated and able to run the latest software. “Since the university reopened its doors to students on October 9, Sagrado was able to maintain 96 percent of its fall enrollment, despite widespread road damage and ongoing scarcity of potable water, electricity and cellular connectivity,” said Marxuach. Under the terms of the contract, Dynamic Campus will continue to provide expert IT services and support both on campus in Puerto Rico and remotely from the mainland. 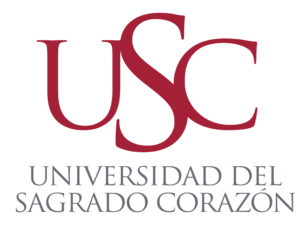 Sagrado Corazón University is an independent, coeducational and non-profit Catholic institution located in Santurce, Puerto Rico. The members of Sagrado share the mission of educating people in intellectual freedom and moral conscience, ready to participate in the construction of a more authentically Christian Puerto Rican society: a community of solidarity in justice and peace. Contract extended to maintain positive momentum of digital transformation at Cloud’s two campuses. Higher education IT services and support provider Dynamic Campus and Cloud County Community College — based in Concordia and Junction City, Kan.— announced a renewal of their managed IT services agreement due to expire at the end of 2017. The extension, approved by the Cloud County Community College Board of Trustees, allows Dynamic Campus to continue to provide expert IT services and leadership to support Cloud’s two primary campuses and 28 outreach locations across 12 counties in north central Kansas. Dynamic Campus higher education IT veteran Shawn Walden will continue to serve as the primary point of contact, leading Cloud’s in-house IT staff. “We have a very close working relationship with Shawn and Dynamic Campus,” said Dr. Danette Toone, Cloud’s president. “From a technology perspective, we have accomplished more in the last two years than we did in the previous five. Conduct a full IT asset assessment and inventory. Execute a seamless migration plan to upgrade older systems. Modernize the college’s network infrastructure, improving performance, scalability and security. Update and optimize their Jenzabar EX ERP system and associated business processes. Cleanse the Active Directory to optimize license use and access security. Install connectivity on Cloud’s tour buses, allowing students to study and do homework while travelling across the region. Overhauled the campus wireless infrastructure, improving student satisfaction and increasing bandwidth tenfold while saving Cloud more than $40,000 annually. 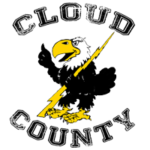 Founded in 1965, Cloud County Community College serves the educational needs of 12 counties in North Central Kansas. The first campus was located in Concordia, however, services are provided at 29 other sites, including the Geary County Campus in Junction City, Kansas. The College is fully accredited by the Higher Learning Commission of the North Central Association of Colleges and Schools. 91% of all cyberattacks begin with a phishing email, but 97% of potential victims can’t successfully identify one in their inbox. Help your students and staff quickly identify and avoid phishing attacks by sharing this infographic below on your own communications platforms. Please distribute as you see fit with our permission—we just ask that you keep the header and footer intact and attribute dynamiccampus.com as the source. Planning a cloud migration for an institution’s core IT systems often takes 9-12 months, but what happens when you only have three weeks in the wake of a humanitarian emergency? “When September’s massive storm knocked out access to electricity, clean water and communications for the entire island, Universidad del Sagrado Corazón needed to get up and running fast. Education is the biggest target for ransomware today, affecting 1 in 10 organizations. Help your students and staff identify and avoid ransomware attacks before they happen by sharing this infographic below on your own communications platforms. Please distribute as you see fit with our permission—we just ask that you keep the header and footer intact and attribute dynamiccampus.com as the source. Five-year partnership to better align institutional IT capabilities with strategic goals. Higher education IT services and support provider Dynamic Campus and Livonia, Mich.-based Madonna University announced the signing of a five-year managed IT services agreement, allowing Dynamic Campus to provide IT leadership and expert IT services to Madonna’s more than 4,200 students, faculty and staff through 2022. 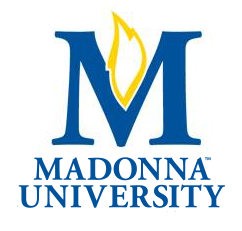 As part of the agreement, John Montgomery — a Dynamic Campus employee and long-time IT veteran in the public and private sectors — has assumed the role of chief information technology officer at Madonna to ensure the institution’s technology investments are fully aligned with the university’s strategic goals. In addition, Madonna will have full access to the Expert Services team at Dynamic Campus, a deep roster of nationwide talent with specific higher education IT expertise. Founded by the Felician Sisters in 1937 and inspired by the values of St. Francis of Assisi, Madonna is an independent Catholic university based in Livonia, Mich. While the 4,200-student University is proud of its rich Catholic heritage, Madonna faculty and staff welcome students of all ages and of varied religious, socioeconomic and cultural backgrounds. 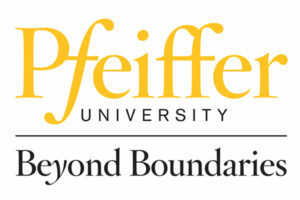 With a bold vision to digitally transform their 132-year-old institution, Pfeiffer University signed a seven-year managed IT services agreement with Dynamic Campus to provide the necessary technical skills, scale and agility needed to achieve the university’s immediate operational needs and long-term strategic goals. Pfeiffer, a United Methodist-affiliated private university serving more than 1,600 students across three locations in North Carolina and online, experienced immediate improvement after partnering with Austin-based Dynamic Campus, which offers a complete portfolio of support services that address the acute and changing needs of today’s colleges and universities. Under the agreement, Dynamic Campus provides an Expert Services IT team on site to support Dr. Ken Russell, Pfeiffer’s vice president of Digital Transformation and Chief Information Officer. “With Dynamic Campus as part of my professional IT staff, I’m able to be much more strategic. 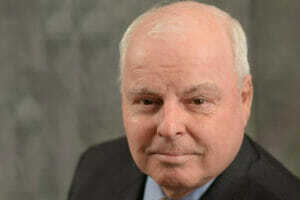 Instead of fighting fires, I can focus on helping Pfeiffer transform using digital assets and technology,” he said. Established in 1885, Pfeiffer University is a globally engaged, private liberal arts university distinctive for its transformational undergraduate experiences and leadership in professional and graduate programs that fill demonstrated needs at its campuses in Misenheimer, Charlotte and Raleigh-Durham, N.C., as well as online.